As the face of Congress, Siddaramaiah will take on former Chief Minister, BJP's BS Yeddyurappa. 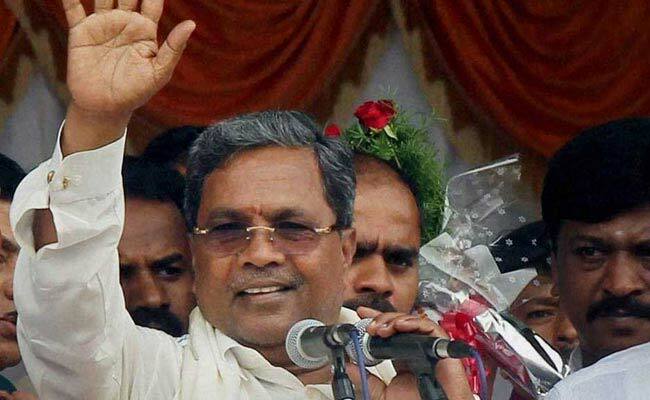 Bengaluru: The Congress today named Karnataka Chief Minister K Siddaramaiah as the party's face in the coming Assembly polls, pitching him against former Chief Minister BS Yeddyurappa, who will be leading the campaign for the BJP. Mr Yeddyurappa was named the party's choice for the Chief Minister's post by BJP chief Amit Shah in August. Assembly elections in the state are due next year, in which the Congress is trying to stay in power for the second consecutive term. The Congress today announced some restructuring within the party. The changes come after party vice president Rahul Gandhi's strategy meet with the key state leaders. State Home Minister G Parameshwara will step down from the cabinet and devote himself to his duties as chief of the party's state unit, the party has said. A statement from party's national general secretary Janardan Dwivedi also announced the elevation of SR Patil, Dinesh Gundurao, minister DK Shivakumar, former Union minister K H Muniyappa and Satish Jarkiholi in various party posts. The appointments have been made keeping in mind all sections and castes of the state. While Siddaramaiah is a key leader from the Kuruba Gowda community, Mr Parameshwara and Mr Muniyappa are Dalit leaders. The dominant Lingayat and community is represented by Mr Patil, the Vokkaligas by Mr Shivakumar. Mr Jarkiholi has a huge following among tribals. The BJP, which recently saw a revolt against Mr Yeddyurappa by backward class leader KS Easwarappa, is trying to keep a united front. Amit Shah has spelt out the party's target -- Mission 150 -- 150 seats in the 224-member state assembly. The party, which has been hoping for big gains, recently acquired Congress veteran SM Krishna, a former Chief Minister and a powerhouse in the state.